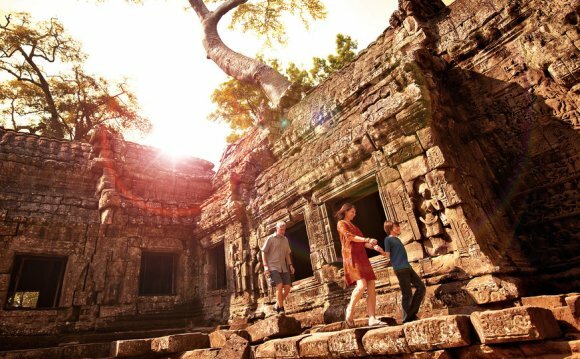 South East Asia is a dream destination for many, but some can find it difficult to make travelling there a reality. So long is the journey from places like the UK, US, Canada, Australia and New Zealand that wannabe visitors may opt against going, favouring somewhere closer to home. Not because they can’t stand the thought being stuck on a plane for 10+ hours, but because of the journey time. Time is precious, especially if – like me – you work a 9-5 and hold your annual leave sacred. To lose one whole day of that annual leave sat on a plane can sometimes seem like a waste, and if you count the return journey that’s two days you’ve lost. If you ask me teleportation can’t come soon enough, but in the meantime we’re going to have to work with what we’ve got, and whilst not ideal it’s my belief that ‘sacrificing’ those couple of days to visit somewhere further afield will in the end be totally worth it. So, despite being a travel blogger for the past two years I still need to pay the bills somehow. This means going to work in a London office just like thousands of others do Monday to Friday. But just recently I was given the opportunity to escape my painfully slow laptop and the endless spreadsheets. My good friends here at Hostelbookers (love you) extended an awesome opportunity my way, which along with the approval from my boss allowed me to get away from my working routine. April 4th, as soon as it hit 5pm I was logging out and off to the airport. Girlfriend in tow I was off to Asia, I was making the journey other office bods like myself sometimes don’t. But was it worth it? Like most visitors to South East Asia our first port of call was Bangkok. Having already been lucky enough to visit the Thai capital on a couple of occasions we decided against an extended stay. I booked a train out of Bangkok the same day our flight would arrive meaning we would spend barely four hours in the city, most of which would be taken up getting from Sukhumvit airport to Hua Lumpong train station. By 8pm our train was leaving and we were on our way to the Thai-Laos border. At Nong Khai station we needed to board a second train, which would take us across the Friendship Bridge and into Laos. The second train journey was over in minutes and cost us only 300 Baht each. It included a mini bus journey into Vientiane once our passports had been stamped. Sod’s law, the day we arrived the power was out at Thanaleng station so we had to be driven back to the road border. If you do decide to stay overnight, browse our Bangkok hotels and hostels for a cool place to stay. So just 36 hours or so after leaving London we had reached our first destination within Laos. That’s not too bad when you realise that the two are some 8000+ miles apart and there is no direct flights. We could have just got another flight from Surhumvit to Vientiane, but the overnight train was cheaper and much more of an adventure. Arriving in Vientiane we made our way to our hostel and then soon set out exploring town… well I did at least. My better half decided that she deserved a massage so I left her to it and went for a wander. Despite being a capital city (not sure that’s the right word, town? ), Vientiane is not full of high-rise or ghastly office blocks. In fact I found it to have a certain quaint charm. There were smaller temples scattered through, and of an evening there were plenty of cute little restaurants to choose from. Despite only spending a single night in Vientiane I’m still glad we visited and in hindsight I probably would have liked at least one more night there.